When loading games or launching programs in Windows, you may get the error below. Don’t panic. 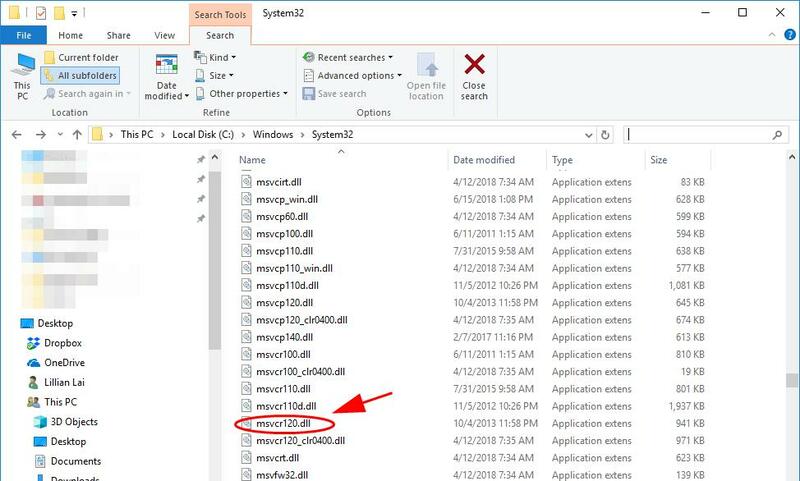 This is a common Windows issue and you can fix msvcr120.dll is missing easily and quickly. The program can’t start because MSVCR120.dll is missing from your computer. Try reinstalling the program to fix this problem. 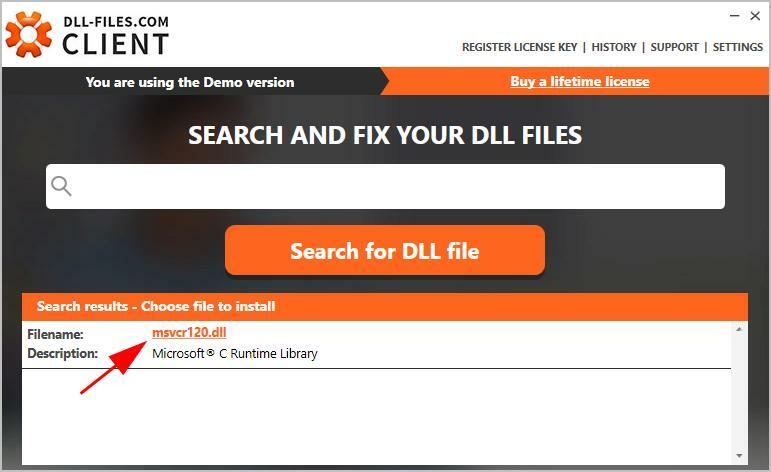 To know how to fix MSVCR120.dll is missing, follow the given solutions below. You don’t need to try them all; just work your way down until your problem is solved. Note: the screenshots below come from Windows 10, and fixes apply to Windows 8 and Windows 7. What is the MSVCR120.dll file? MSVCR120.dll is an essential file for the Window Operating System. The file is used to extract the valuable application resources required at runtime by the third party installation program. MSVCR120.dll is the corresponding C++ library. If MSVCR120.dll is missing, you won’t be able to launch games or other programs in the C++ programming languages. 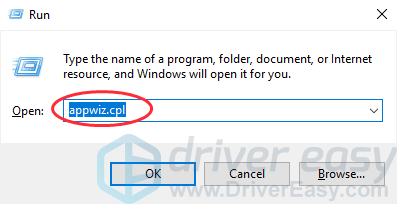 If MSVCR120.dll is missing or not found in your computer, you can fix your problem by restoring the missing file in your computer. To do so, use the DLL-files.com Client. Type MSVCR120.dll in the search box and click Search for DLL file. Click msvcr120.dll in the search result. 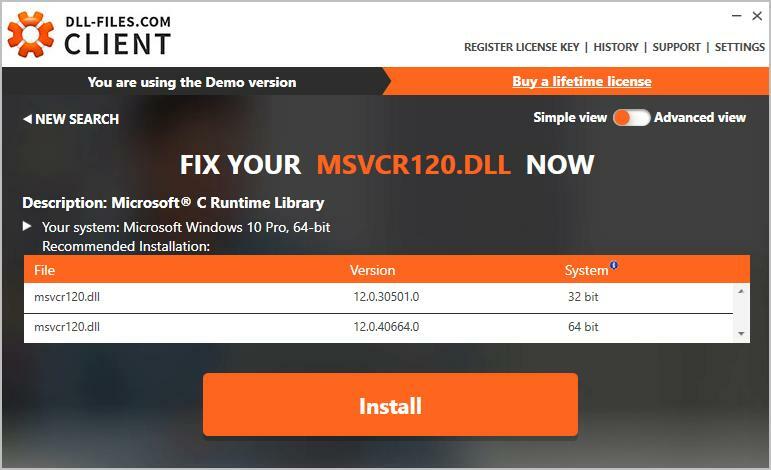 Once install, check if your MSVCR120.dll missing problem has been fixed. The MSVCR120.dll file belongs to the Visual C++ Redistributable Packages for Visual Studio 2013. If it’s missing on your computer, something went wrong installing this package. 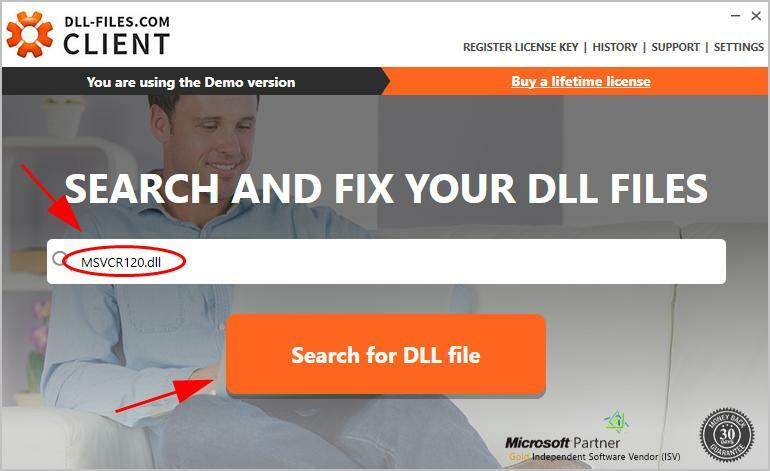 The easiest way to fix msvcr120.dll is missing is to re-download the packages from Microsoft. Important: Download the file from the official websites to avoid potential risks. In addition, DO NOT download the .dll files from the unofficial websites, in attempt to replace your missing files. Those are unapproved sources for DLL files, and may be infected with viruses. So it’s recommended not to do that to ensure your computer security. 1) Go to Microsoft download website. 3) Select the file according to your system type ( x64 for 64-bit and x86 for 32-bit). Then click Next. Tips: You can check if you are running 32-bit or 64-bit via cmd in your Windows: Open cmd.exe, and type systeminfo, and press Enter, and then you can see your system type is x86-based or x64-based. 4) After downloading, double click the downloaded .exe file, and follow the instructions to install. 5) Restart your Windows. Then open the same program to see if it works. As suggested in the error message, you can try to reinstall the program to fix it. The program file may be corrupted when installing, so a clean reinstallation to have a complete and correct file may solve the problem. 1) On your keyboard, press the Windows logo key + R at the same time. 2) Type appwiz.cpl in the Run box, and press Enter. 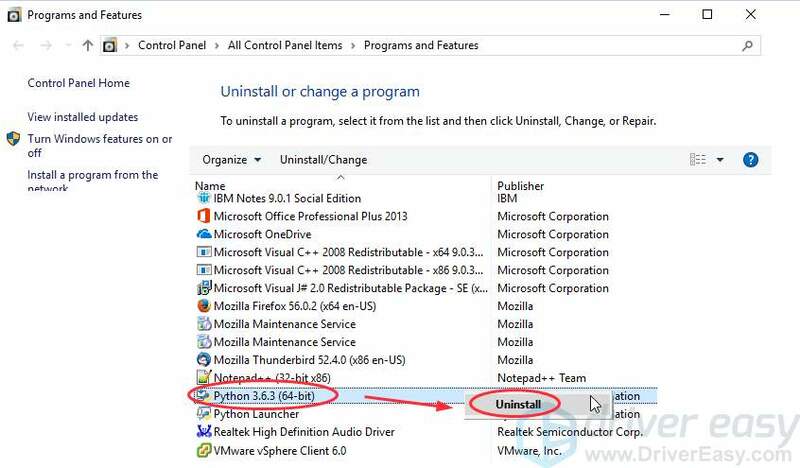 3) Right click the program that gives the error, then click Uninstall. In my case, the program that gives the error is Python, so I right click Python and click Uninstall. 4) Follow the popup instructions to confirm the delete. 5) Restart your computer, reinstall the program, and open it to see if it works. and E on your keyboard), then go to C:\Windows\System32 and copy the msvcr120.dll there. A virus or malware infection in your system could also stop the .dll file from running. Some errors like dll not found or dll is missing, are related to malware, such as Trojan, that pretends to be the dll files. To check this possibility, run a full system check with your anti-virus program. Windows Defender alone might not be able to help, so you can try other anti-virus programs, such as Norton and AVG AntiVirus Free. Run a complete virus scan for your entire Windows system, and this could take a few minutes. A quick system scan may not include many parts of your Windows, so please ensure to check every part of your computer. After scanning, restart your PC. If unfortunately, your Windows has been infected by malware, follow the instructions shown by the anti-virus program to fix it. Then restart your computer and see if the problem is solved. 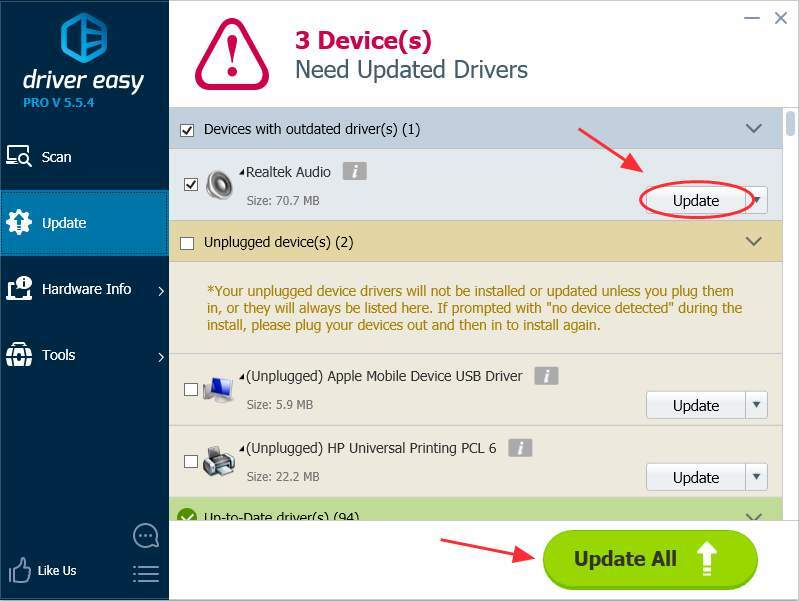 If you don’t have time or patience to manually update drivers, you can automatically update drivers with Driver Easy. 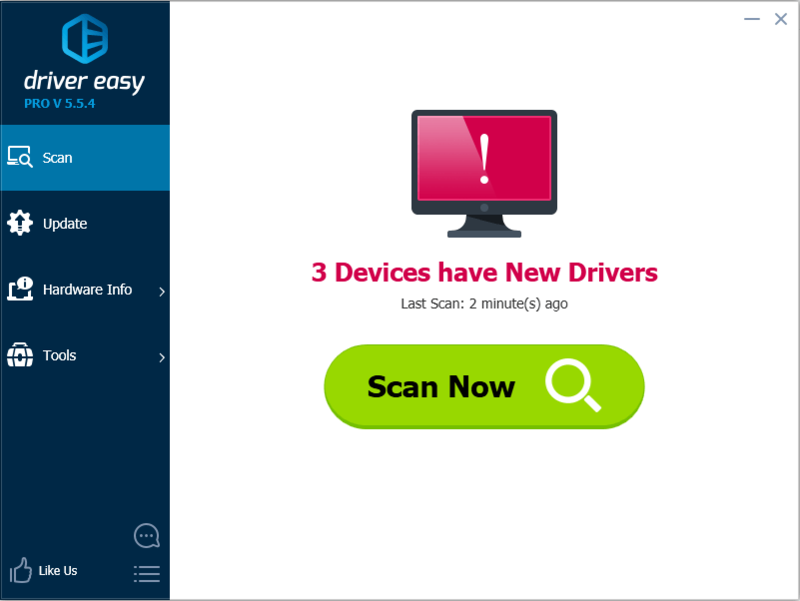 Driver Easy will automatically recognize your system and find the correct driver for your computer. 3) Click the Update button next to a flagged driver to automatically download and install the correct audio driver (You can do this with the FREE version). Or click Update All to automatically download and install all the latest correct drivers that is missing or outdated (This requires the Pro version. You will be prompted to upgrade when you click Update All). These are the best solutions to fix msvcr120.dll is missing in your computer. Hope this can help. You can share with us which solution helps. If your problem still persists, feel free to let us know and we will see what more we can do to help.